There are a lot of people who believe the time and place for Beauty Pageants has passed and just a few hold outs who still find value in the various Pageant Systems that remain. In the good ole pageantry heyday of the 80’s and 90’s girls could compete within the Miss America system and win LOTS of scholarship money. When college was less expensive and there were more people donating to the scholarship funds of the Miss America system, a girl could practically pay her way through college by simply consistently being a runner up or winning a few local titles here and there. Now the scholarship earnings of the girls who compete for the maximum amount of years and win a state title might be able to cover a semester and a half of college tuition. Each year, the Miss America system awards almost 6 million dollars in scholarship money, (Thanks John Oliver for encouraging them to come clean about that number.) which still makes them a huge player as far as scholarship organizations go, but is it enough to outweigh the cons of the system? I’m an ex pageant girl. I donated four years of my life to the Miss America System and took two rather half hearted runs at the Miss USA system. I say donated four years of my life because thats exactly what I did. The system consumed me. It wasn’t a pass time or hobby, it was a job. At 19 years old I won the title of Miss Houston 2011, by complete happy accident I say, and started on a journey that would change my life forever. I was attending school as a Commercial Music Major at Belmont University when I won. Belmont is in Tennessee, Houston is most definitely not. So I spent A LOT of time commuting on planes between Texas and Tennessee. My first April as a title holder I flew to Texas every weekend for appearances or required meetings. When I wasn’t traveling for appearances I was working on my personal platform, which morphed into something slightly different every year as I spent more time with it. Originally I was preaching merely positive body image and attempting to partner with the then, Dove Campaign for True Beauty. I had coaches working with me weekly on how to interview, how to speak in public, how to do as much as I possibly could as a volunteer and still be a straight A student. It was NOT easy. At 21 it all sort of paid off. As Miss Harris Country 2012 I became 3rd runner-up to Miss Texas, a talent scholarship award winner and best smile winner. Those came with a nice scholarship, which like I said covered about half a semester at Belmont. However, as 3rd runner-up I was selected to become the first Miss Texas Sweetheart the state had sent to the Miss Sweetheart pageant in almost 30 years. That experience was wonderful and I still follow all of the other title holders from their various states to this day. We’re a network of women who support and build each other up. Not lying. That’s actually true. Cattiness is usually limited to just a couple girls who for some reason or another have never liked each other. However, after representing Texas at the National Sweetheart Pageant, I came back to Tennessee and decided the commuting between Texas and Tennessee was going to be too much to handle in my senior year of college, so I switched to competing in Tennessee. I won the title of Miss Knoxville 2013 and boy were those Tennessee Momma’s mad. Message boards are evil creations; a dark side of pageantry that mars their reputations and encourages people to anonymously sink to levels of meanness well below that of a normal human being. I tried not to read them, but when they’re attacking you, you just get curious. Those words hurt. They screeched I was a “state hopper”, I was too fat, I had fake teeth anything they could think of to throw a knife at me and make their favored contestant look better. I read, I heard, I crumbled. This is where I now question the relevance of pageantry. For four years I bleated that they were still relevant because of the scholarship money they made available; they taught young women how to speak, handle sticky situations with grace and maturity, and they absolutely do! I am very well spoken because of my work within the organization and the constant, high pressure, nine and a half minute interviews where a panel of judges ask you to solve problems like ISIS and see if they can trip you up with hot button issues. I learned how to cleverly state my opinion without ruffling too many feathers and dismiss questions designed to spiral you into a hole you can’t climb out of. Political Correctness at its finest. However, by my last year I’d set being perfectly “PC” to the wayside in favor of actually being me, which didn’t go over well. Somewhere in there I told a judge I thought Twitter created narcissists and that Instagram was Twitter for the illiterate. Oops. But besides learning to think under pressure, I became a very mature young woman. I worked with organizations like The Boys and Girls Club, Girls on the Run, The Dove Campaign for Self-Esteem and I even created my own self-esteem building program with the help of The National Associations for Self-Esteem. I worked with young girls who were struggling with various issues and thus had to grow up myself in order to help them. Yet in all of this “good” the organization is doing for young women, there is something darker. As mentioned in the paragraph where I shared the darkness of the message boards there is an ugly side of pageantry that makes me honestly question if it’s all worth it. The pressure to be thin is real. At 15% body fat and a size 4, I was told I was “too big.” The pressure to be perfect is real. Never go out in public looking less than your very best. “Miss Whatever is always happy!” “Miss Whatever never complains!” “Miss Whatever never has a bad day!” The pressure to be more involved than any other contestant is real. Service hours matter. What doesn’t matter is if you’re a full time student, working through college with a thousand other things on your mind. You always have to do more. What doesn’t matter are your aspirations after pageantry. To the pageants, all that matters is what you’re doing now. What you look like now. How you act now. You are not allowed to be real. You are asked to be untouchable. No photos with boyfriends, no photos with alcohol, no photos without make-up. All this pressure creates a cocktail, I am now noticing, is deadly. During the four years I competed, I was dating the same guy. We’d met in a class at Belmont and I was the perfect mark. I was a little shy, I was pretty but insecure, I was over involved and swimming in a world where nothing but perfect was accepted. So for four years, I put up with the verbal and emotional assaults. I dismissed them as him trying to help me reach my goals. Not a single day went by that he didn’t tell me I was “too fat to win Miss ___.” Not a single day went by that he didn’t tell me I was “Too stupid to succeed.” Not a single day went by that he didn’t tell me I “shouldn’t be eating more than 800 calories a day.” Once he even told me, “I can’t eat with you any more because I can’t stand to watch fat people eat.” I cried. I pleaded. I screamed. I threw things. I slapped him. All in the hopes that my anger would make him see he wasn’t helping me. That wasn’t the kind of support I needed. He encouraged me to be anorexic. He encouraged me to become vegetarian or vegan in the hopes that vegetables alone would make me good enough. Daily he pointed out girls who were thinner than me and told me it was because they actually cared about their looks and had the will power to not stuff their faces. I did a ten day fast because he told me he’d break up with me if I didn’t. And honestly by that point in our relationship I was so broken, beaten down and depressed I couldn’t see life without him. My friends had deserted me because they disliked him and my constant defense of him. I was alone, with only his 85 text messages a day to check on me and make sure I wasn’t eating. I didn’t exist. I was hollow, empty and lost. Nothing made me feel. And NO ONE knew how I was struggling. People suspected. On an occasion or two I lied about a bruise I’d received after I’d thrown something at my boyfriend in a defensive outburst. I defended him. I clung to him like my rock. I left my house everyday looking perfect for fear that if I didn’t I’d disappoint him. All of this was going on underneath the pressures pageants kept packing on. I separated my life. I put all aspects of my life into different boxes. My Boyfriend’s Rachael. Miss ‘Whatever’’s Rachael. My music career’s Rachael. Nothing was coherent. Nothing was fluid. I was too broken to have a fluid life. My last year of pageantry was rough. I was broken, lost and clueless on how to handle it. I just kept painting on a smile so no one would know. I’d developed a form of bulimia just to have some kind of control in my life. My boyfriend was in the process of breaking up with me and the fights were getting worse. I say process of, because it was eight months of being strung along with promises of “It’s just a break. We’ll re-evaluate in a month.” Which was code for, if you’re thin enough to be my submissive barbie doll, I’ll keep you. Even through those empty promises he wouldn’t leave me alone though. We texted constantly, still went on dates, and saw each other several times a week. The rock bottom for me happened all at once. I could no longer participate in most daily activities because of laxative abuse, and one night I lay crying in the fetal position of my boyfriends kitchen floor begging him to hit me because “I can handle that! I can handle the physical! I can’t bear to hear any more verbal and emotional assaults!” He wouldn’t hit me. That would have been what I wanted, which was never to be given under any circumstance. I went home broken, still crying where he continued the assaults via text message. He called me every name under the sun, called me a “f****** fatass” and finally said “Kill yourself. Youre more useful to me dead.” At which point I sat retching over the toilet and climbed into my tub with the sharpest pair of scissors I owned. It was dumb but it seemed to be the only way out. Everything in my life was wrong. My family wanted me to win this pageant and to me that meant only “lose weight” and I couldn’t lose enough. My boyfriend hated me. I couldn’t ever be the girl who volunteered the most, and my music career was slipping through my fingertips. I sat in the tub ignoring his persistent texts and phone calls, a shallow cut on my wrist. I’m not exactly sure how I managed to see sense. I just remember praying. For the first time in ages. However, I stupidly answered one of my boyfriends phone calls where he berated me for not answering him and when he found out what I’d been thinking of doing, called me stupid for considering it. I finally got help. I started seeing a therapist weekly, eventually got my eating disorder under control and after a year was finally able to admit the relationship I had been in was abusive. I tried to protect him for almost a year before I let anyone into the atrocities that passed between us. Sometimes I still struggle to believe it was truly abusive and that what happened wasn’t my fault. Sometimes I still catch myself blaming me for his actions, when I know that is absolutely not the truth. You’re probably wondering how all of this personal loss and drama plays into my loss of faith in pageantry. And it’s because I’m not the only one. These sort of struggles are present in strangely high numbers among pageant contestants. Confessions of Anorexia, Bulimia, eating disorders of all variations fill my facebook news feed. Girls I didn’t know were struggling with the same things are coming clean in droves. So many friends are speaking out against boyfriends who were abusive in all kinds of ways and no one ever knew. Love Shouldn’t Hurt was a recent Miss America’s personal platform. Pageant girls make up a minuscule percentage of the population, but the amount of us coming clean about struggles with self-esteem that led us into bad relationships and eating disorders is staggering. I wanted to turn a blind eye and say it was just a few of us, but the number is growing. Becoming unbelievable. It hurts me to know so many of my extended pageant family are affected by these issues. It’s time for us to speak up. Stand up for each other. Being perfect isn’t the end all be all. It’s impossible. We have to ask ourselves if the pressures put on us because of these competitions are worth it. Is a system that has become a breeding ground for eating disorders, low self-worth and bad relationships still relevant because it awards scholarship money? 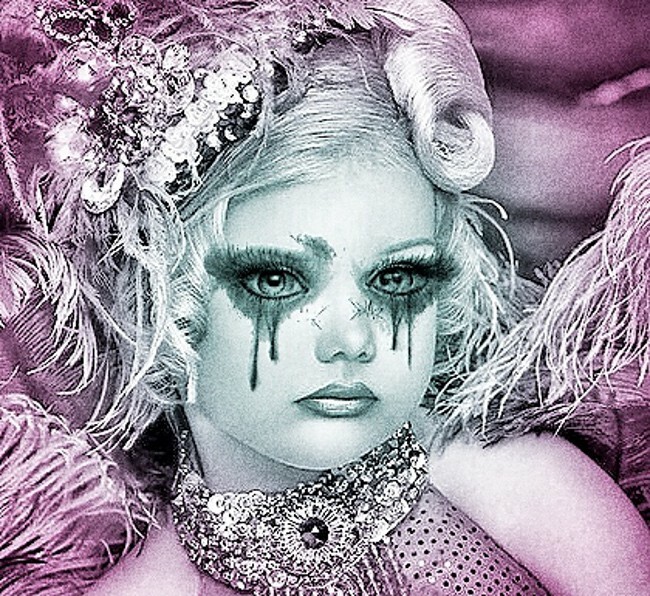 If pageants are to remain a staple of American culture, they need to grow up. They need to embrace a lack of perfection. They need to embrace the realness they’ve been avoiding. Pageants shouldn’t hurt either.